Rallying, even at the amateur level, carries the risk of crashing that simply isn’t there in other forms of weekend racing. That’s made evident in this dashcam video of the forceful rollover crash suffered by a team in their Skoda 130LR during the Podbrdská Rally Legend in the Czech Republic. Fortunately, nobody was hurt in this barrel roll, though the car clearly took some heavy damage. 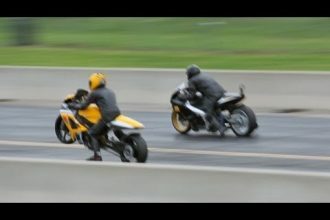 Turbo Drag Launch Pulls A 50-Foot Wheelie And Wins! 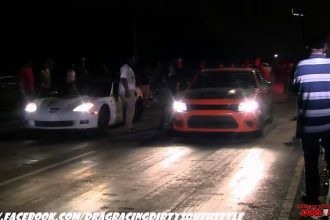 Stock Charger Hellcat VS Modded ZR-1… Who Will Win?